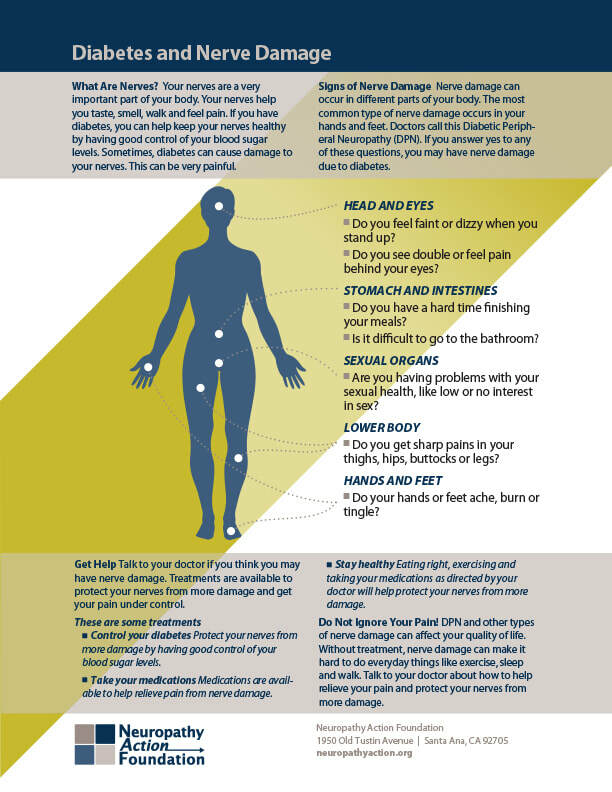 If you are experiencing aching, piercing, burning, numbness, tingling, itching or any other symptom in your feet and legs and/or hands caused by the ravaging effects of Peripheral Neuropathy and would like to be free of these life-altering symptoms once and for all, please read this in it’s entirety. The information provided here will assist you in both understanding your pain and other symptoms as well as provide you with information on a very successful method that we use in The Neighborhood Neuropathy Center to help get rid of the pain and symptoms of Neuropathy. Although there is no known medical cure for Neuropathy, there are new and exciting methods to manage, control and even reverse the damage done to the nerves caused by certain factors. If you are suffering from this debilitating condition and simply taking drug after drug trying to alleviate your condition, you’re not alone. It is estimated that over 20 million Americans suffer from Peripheral Neuropathy and that doesn’t even include the number of Americans who are diagnosed with Diabetes everyday and who will eventually develop this condition. If you are one of these people, you know first hand what it’s like to be unable to do the things you like because of the constant tingling, pain, numbness and loss of feeling in your feet and legs. There is nothing more tragic than feeling you are unable to be fully engaged in the life that you have worked so hard to attain. Your zest for life and your enthusiasm for living may be greatly diminished by this pervasive and intruding pain and numbness which is affecting everything you do. ​There are some surprising statistics about how common diabetic foot ulcers are, how often they can lead to amputation and the ultimate cost of having a foot ulcer that results in an amputation. 1. A foot ulcer is the initial event in more than 85% of major amputations that are performed on people with diabetes. 2. In the United States, every year about 73,000 amputations of the lower limb not related to trauma are performed on people with diabetes. 3. Of non-traumatic amputations in the United States, 60% are performed on people with diabetes. 4. Throughout the world, it’s estimated that every 30 seconds one leg is amputated due to diabetes. ​Doctors take many different paths after graduation. Just as an MD degree may lead one toward radiology, pathology or cardiac surgery, DC’s may focus on sports medicine, low back pain, or, more recently, neuropathy. Neuropathy is diagnosed when patients complain of pain, tingling, trouble sleeping, loss of sensation to heat or cold or pressure, or numbness. Clearly all neuropathy is not the same. To help a patient with neuropathy, one needs to know what causes his or her neuropathy. It can result from traumatic injuries, infections, metabolic disorders, and exposure to toxins. One of the most common causes of neuropathy is diabetes. And there are more than 20 million diabetics in this country. Restoring sensation and balance leads to fewer falls, which should translate into fewer fractures; restoration of sensation and balance allows patients to engage in exercise programs recommended by healthcare groups such as the American Diabetes Association. Restoring sensation also limits the catastrophic effects of unappreciated wounds that become infected or necrotic, often leading to amputations. Interventions by physicians along with standard physical therapies in such patients saves healthcare dollars and improves activities of daily living (ADL) and quality of life (QOL). Chemotherapy can and does cause neuropathy! Cancer patients who have been treated with chemotherapy are another group who might well seek out therapists to help resolve their neuropathy. There are a variety of treatments available for peripheral neuropathy. They range from traditional pills and creams to special diets and therapies that stimulate the nervous system. Antidepressants are a favored treatment for neuropathies. They will relieve neuropathic pain in non-depressed persons. Another class of medicines commonly prescribed for neuropathy is that of anticonvulsants such as Lyrica and gabapentin. These medicines block calcium channels on neurons to limit pain. Opioid narcotic treatments for neuropathy are used as well to treat the condition, but are less favored because of the risk of dependency. Alternative therapies for peripheral neuropathy include cannabinoids (an class of chemicals found in marijuana), Botulinum Toxin Type A (better known as Botox), NMDA antagonists (such as ketamine), dietary supplements (such as alpha lipoic and benfotiamine), chiropractic massages, yoga, meditation, cognitive therapy, and acupuncture. As you probably know, diabetes has a significant effect on blood flow. Vessels get smaller in diameter or close off completely. The skin becomes cooler than normal, it loses its pink color, and sophisticated devices like vascular ultrasound or scanning laser Doppler can demonstrate the reduction in blood flow. Some scientists and healthcare professionals have begun to focus on how to improve blood flow to the limbs of patients with neuropathy; an added benefit of that approach is improved blood flow to nerves themselves within those limbs. Why is that important? Because any of the pharmaceutical or nutritional interventions mentioned above will be delivered more effectively to the limbs and their nerves, if one increases blood flow. gait and balance problems that are classic signs of neuropathy. Acute treatment with LEDs for 30 min. or less causes an immediate, sustained (for a few hours) increase in blood flow by dilating existing blood vessels. Subsequent treatments appear to cause angiogenesis (the growth of new blood vessels) so that eventually blood flow to all areas of a treated limb (or site) return toward normal rates. Peripheral neuropathy is a condition where the feeling in your feet or hands is abnormal. There may be tingling, or pain or numbness. These problems often develop slowly, are irritating and often worsen over time. The condition frequently interrupts sleep in the early hours of the morning. Without a specific diagnosis as to the cause of peripheral neuropathy, and there are many causes, it may not be wise to use drugs or other treatments for neuropathy problem. No device, drug or magic compound can legally claim to cure but several treatments appear to be able, IN SOME PATIENTS, to alleviate the symptoms. Diabetes is high on the list as a major contributor to the cause of peripheral neuropathy. Another is peripheral neuropathy resulting from chemotherapeutic drugs. Some genetic diseases, such as Charcot Marie Tooth that involve nerve damage, also cause symptoms of peripheral neuropathy. Pain in the lower extremities is a major symptom of vascular disease known as peripheral vascular or peripheral arterial disease (PVD and PAD, respectively). What are contributing & controllable factors? Vascular disease is the leading contributing yet controllable factor. For example, in diabetic patients vascular problems occur throughout the body. These patients suffer from vascular injury to the eyes, heart, kidney and not surprisingly, to the lower legs and feet themselves. In fact, if left unaddressed, poor blood flow to the feet can often lead to the formation of ulcers. In many cases, these wounds are so difficult to heal that an amputation is required. Slow or non-healing wounds & ulcers have been mentioned. Poor blood flow to nerves causes loss of sensation and subsequent difficulty in walking and balance. Imagine not being able to pick up a fork or a sewing needle because you’ve lost feeling in your fingers. Imagine not being able to sense an uneven surface while walking or a hot surface while bathing. Imagine not being able to know whether your foot is on the break or accelerator. Typical treatments include drugs that do not affect the vascular problems but tend to inhibit the painful symptoms. Other oral approaches involve nutritional supplements that increase blood flow. If the symptoms of neuropathy in the legs and feet become very severe sometimes surgery on the blood vessels in the legs is suggested. Are all peripheral neuropathies the same? No, as mentioned above, some are due to disease, some to toxins like chemotherapy drugs, some are due to genetics, some are due to infections such as Lyme disease, and some are simply unexplained. The latter are labeled idiopathic neuropathy, which means the cause is unknown. Light emitting diodes (LEDs) are a part of medical devices that emit near infrared (IR) light or light of various colors. IR light. Unlike blue, red or yellow light, is invisible to the human eye. The IR light has been reported in the scientific literature to dilate blood vessels at the site of treatment. What is the bio/physiological reaction to infrared light? Scientific evidence shows that IR light triggers the release of nitric oxide from blood vessels and from red blood cells at the site of treatment. Nitric oxide causes local vasodilation, again locally, that lasts several hours after the treatments cease. Vasodilation improves blood flow and is useful in patients whose peripheral neuropathy is due to poor blood flow. How does this apply to peripheral neuropathy? Improving blood flow lessens what is known as “ischemic” pain and helps nerves to begin to carry sensations again. Remember, sensory loss due to poor blood flow to nerves, is a symptom of peripheral neuropathy. Why are there differences in responses? Some patients have idiopathic neuropathy which may not respond to light therapy whereas others with vascular damage (poor blood flow) often experience relief from the symptoms of neuropathy. Light therapy, by a licensed healthare provider, is typically given for a minimum of three times a week for 8-12 weeks. This time frame is due to the overall patient load at a clinic or the logistics of getting patients from their residence to a clinic. If treatments can be given more frequently… 4-5 times a week… blood flow often improves more quickly and positive outcomes seen in less time. Clinic or home use; what is the difference? Clinics often use devices with more output power or photo energy. Use of photo energy at home involves devices that may be lower powered which the patient uses more frequently than otherwise would occur if they had to travel to a clinic. Home units are generally used as part of the patient’s continuing therapy, where appropriate. A medical practitioner is ideally placed to advise the patient in this area, as not all patients will see continuing benefits from a home unit. Licensed medical practitioners frequently have several tools at their disposal, allowing some patients, that may otherwise be unresponsive, to benefit from a combination of therapies. Yes HealthLight is cleared for increasing circulation and reducing pain. It is not cleared specifically for treating diabetic or other neuropathies, but it is cleared for some of the symptoms associated with peripheral neuropathy. No device of any type is legally cleared by the FDA, specifically for the treatment of peripheral neuropathy. 1. Be sure to see a physician and have your blood tested to rule out possible causes of peripheral neuropathy (PN). 2. If you have PN from diabetes, you must do your best to control your blood sugar. We understand how hard it is to constantly check blood sugar levels but if you don’t do this, many of the benefits of light therapy, or supplements or diet changes or exercise simply won’t help. 3. Certain supplements, such as L-arginine, appear to help control the symptoms of PN. Be sure to consult with your medical team about your various choices. 4. Exercise, exercise, exercise!!!! Exercise helps to keep blood flow through vessels as close to normal as possible. This will help delay the development of severe peripheral neuropathy. Your healthcare provider will recommend various exercises that are appropriate for you. 5. Watch your diet. Certain foods are not very nutritious. Diabetes affects not only you, but family members as well. Improving what everyone eats can benefit your health and that of your family as well. Everyone wins! 6. Ask questions of those in the medical professions. Be sure you get answers appropriate for your particular peripheral neuropathy. Also, as you age, treatments that worked in the past may no longer be as effective…or what didn’t work to help with the symptoms of PN in the past may now be “just what the doctor ordered”. Neighborhood Neuropathy Center uses an advanced program for treating the symptoms of peripheral neuropathy. Using a distinct combination of modalities helps create the most effective treatment available for the relief of your peripheral neuropathy pain and discomfort. 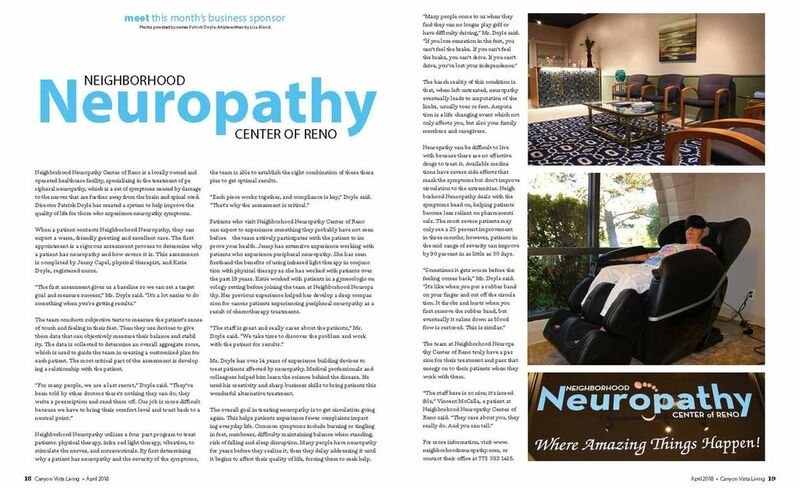 If you’ve come to our website, you know we are Reno’s only dedicated peripheral neuropathy care center. You may have come here because you have diabetes related peripheral neuropathy (DPN) or have had chemotherapy, which is another cause of neuropathy. If neither of these apply, you may have been told that you have idiopathic peripheral neuropathy (IPN) which means no one can identify the cause. DON’T DESPAIR. There are some 50 or so drugs that cause neuropathy. Many people find that stopping the drug eliminates all neuropathy symptoms. Of course, you should consult with your healthcare provider before stopping any drug. Sometimes it has been years since you took one of these drugs; perhaps you don’t even remember the name of the drug. Our team of doctors, nurses and therapists might be able to identify the cause of your idiopathic peripheral neuropathy. Give us a call to schedule a visit to our clinic. We specialize in diagnosing and treating the symptoms of peripheral neuropathy. A wonderful overview of our Center and how we can help neuropathy patients. Click on the picture to view a larger image. Peripheral neuropathy is a disorder that affects the peripheral nerves (feet/hands) and may cause permanent nerve damage. In diabetic peripheral neuropathy, the myelin sheath, or the protective covering of the nerves, is damaged, which may result in numbness or tingling, muscle weakness, fatigue, and other symptoms. The effects of neuropathy can worsen over time, leading to significant activity limitations and a decreased quality of life. 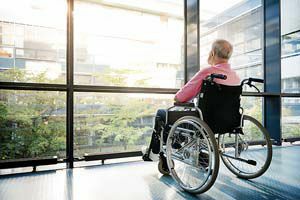 Approximately 70 percent of diabetic patients will progress to wheelchair dependence if not treated. "As a physical therapist treating patients with peripheral neuropathy, I am excited to have a safe and effective treatment option to offer my patients who are interested in drug or surgery free solutions and regaining their quality of life," said Jenny Capel PT, Neighborhood Neuropathy Center. “Many patients simply want to be able to drive again”. For more information about treatment options for the symptoms of peripheral neuropathy visit nncreno.com or call 775 382-1415. Neuropathy is damage to the fibers of a nerve or nerves by injury or disease. The damage might be to the axon myelin sheath which covers the nerve fibers, or both. Neuritis is amore specific term when the lesion is one of inflammation. The most common pattern of nerve involvement is one in which several nerves are affected involving both sides of the body equally. The disease can affect somatic, cranial or automatic nerves. Nerve damage can occur in different parts of your body. The most common type of nerve damage occurs in your hands and feet. Doctors call this Diabetic Peripheral Neuropathy (DPN). If you answer yes to any of these questions, you may have nerve damage due to diabetes. DO NOT IGNORE YOUR PAIN! Give Neighborhood Neuropathy Centers a call to see how we can help.